The Icelandic Energy Portal is cooperating with the University of Iceland and Reykjavik University, as scientific and educational partners. Thus, we sometimes introduce research by university scholars and students. Today, we will focus on the findings in a recent thesis towards MSc in Sustainable Energy at Reykjavik University, by Mr. Randall Morgan Greene. The title of the thesis is “Iceland-UK Interconnector: Strategy for Macroeconomic and Legal Feasibility”. According to the thesis, the UK must undertake drastic changes in their energy system if they are to achieve energy policy goals of competitive electricity prices, ensuring security of supply, and decarbonization of generation. 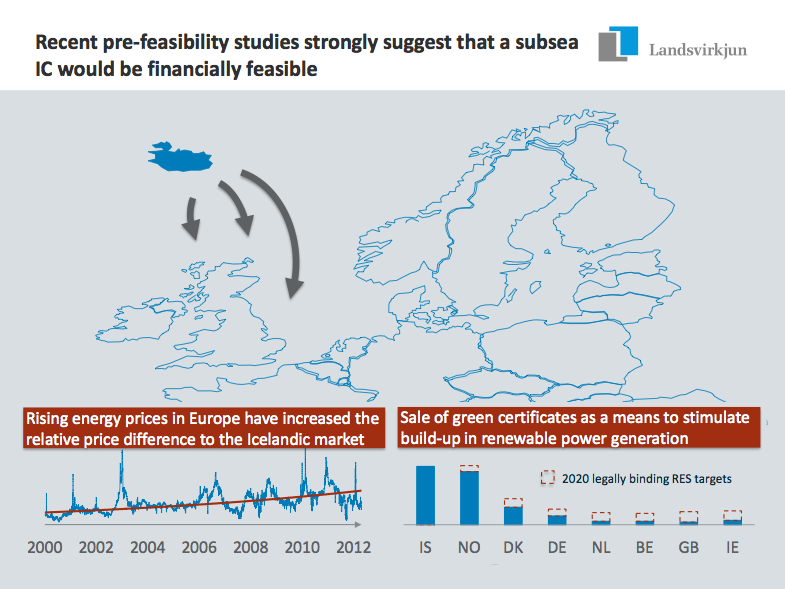 Interconnection with Iceland, which is dominated by renewable energy, could offer an enticing, cost-competitive alternative to building new low-carbon generation in the UK and carries the potential for positive economic and technical benefits for both countries. However, the author points out that the structure of EU and UK electricity systems and legislation places some blockades in this project attaining legal and macroeconomic feasibility. While there is some regulatory uncertainty associated with it, there is a potential that the status quo merchant interconnection investment model could be applied to the Iceland-UK in order to attain the aforementioned feasibility – especially if there is a potential for the application of the emerging legal precedent and business model framework in the Imera/ElecLink merchant interconnection exemption request (at this stage the concept of ElecLink seem to be advancing faster). The macroeconomic feasibility of this framework could potentially be strengthened if there is a possibility to apply the UKs new Feed-in-Tariffs with Contract-for-Difference (FiT CfD) to generators in Iceland. The Imera/ElecLink framework adequately covers investor concerns over stable, long term returns while satisfactorily addressing regulator concerns over competition and third-party access rules for transmission assets. When combined with the FiT CfD program, there is a strong potential that this project can attain macroeconomic feasibility while still being feasible under EU energy legislation. However, due to the ElecLink exemption not being due till spring 2014 and there being no clear precedent concerning the application of the UKs FiT CfD program to non-UK generators, this potential still requires more in-depth investigation. 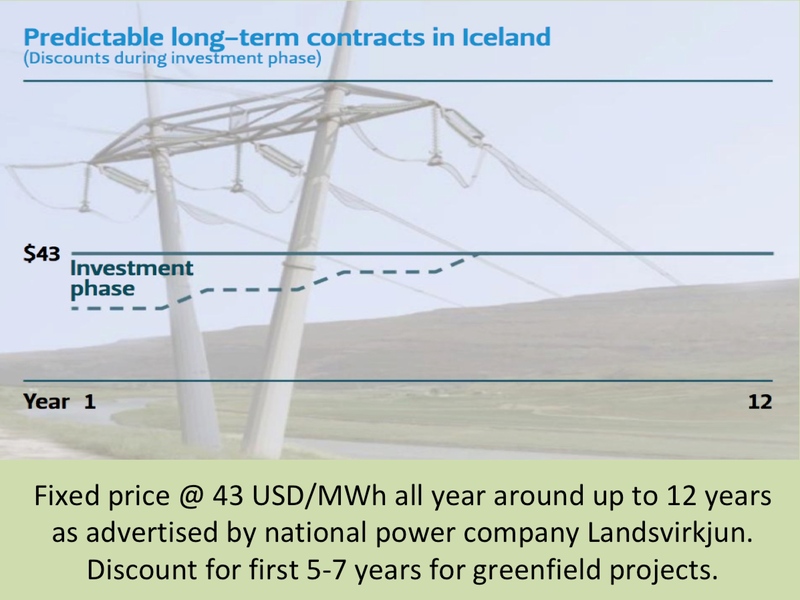 For more information, this link will take you to the whole text (pdf) of the thesis “Iceland-UK Interconnector: Strategy for Macroeconomic and Legal Feasibility”.